CarusoPR, a division of Caruso Communications LLC, is a Chicago-based, award winning, independent boutique marketing and public relations firm delivering a multitude of professional communication services to clients nationwide. Seasoned PR pro, Ellyn Caruso leads a dynamic group that combines a full time staff and dedicated communication specialists to collaborate and work seamlessly with clients yielding on target, on time, results. Our boutique consultancy focuses on your goals providing you with top-notch hands-on service from experienced senior level professionals who quickly ramp up to speed and get things right the first time. 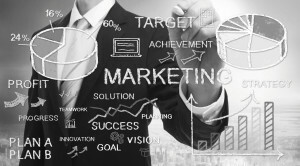 CarusoPR becomes an extension of your marketing team, saving you valuable time and money. We serve B2B and B2C clients including professional services such as law firms, financial planners, business specialists, and small to mid-size companies. We welcome emerging businesses ready to leverage early achievements as they expand market opportunities.We also have a concentration in non-profit organizations working with youth services, education, business trade and member associations as well as established charitable and cause organizations. CarusoPR guides clients from concept to execution with an unrivaled ability to visualize, manage and implement solutions and communication strategies. We build elements that resonate with your audience. We generate multiple uses for messaging rather than focus on clever phrases with a short shelf life. We strategically align your communication elements strengthening the path to your business objectives.